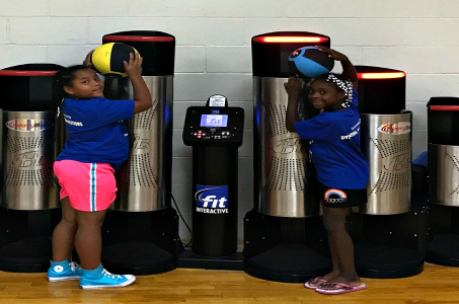 Youth ages 6– 12 years will be directly supervised by a youth fitness coach as they learn proper weight training techniques, calisthenics and plyometrics. Youth will learn ways to improve various sport techniques as well. Programs will vary on a monthly basis. Youth Fit Club is located in our Youth Wellness Center. Equipment includes Motion Fitness 3-Kick interactive workout. Railyard and interactive Sportwall. Free to members. Water is allowed, please no food. Closed-toe shoes required, 2-hour time limit.